Our Breast Biopsy Unit for QED-Coil serves for fixation of the breast as well as for MR-supported biopsies. Our Biopsy System consists of superior plastics (PEEK) and can be used for all traditional sterilization processes (autoclavable). The Post & Pillar and Grid Biopsy Units can be build cost effectively and can always be extended upon request. NORAS offers two different biopsy methods that both have individual advantages. Both methods can be used together with all NORAS BI 320 breast biopsy coils and patient rests for immobilization, wire placements and MR guided biopsy. 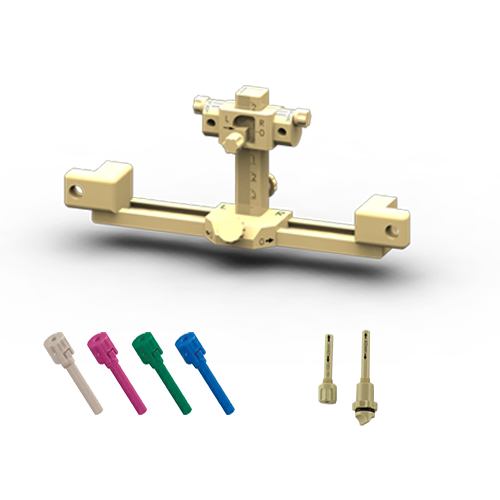 Our systems all provide height adjustable biopsy units with wide access to the breast from lateral, medial and cranio-caudal side and can be rotated by 360° in 15° increments. (Please note that this rotation radius does not apply if the Siemens syngo® software is in use). With our PostΠllar Biopsy System you can perform exact biopsies with a higher accuracy compared to the grid method. Angulation is possible by adjusting the needle sleeve by 15° or 30° towards posterior or anterior. Biopsies can be performed using either reusable (autoclavable) or disposable (sterile) PostΠllar needle guide sleeves. Height-adjustable horizontal slat plates can be used to fixate the breast. The Grid Biopsy System allows multiple biopsy access points within a single procedure. needle guidance. 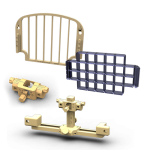 The grids and cubes are available as reusable (autoclavable) or disposable (sterile) accessories. 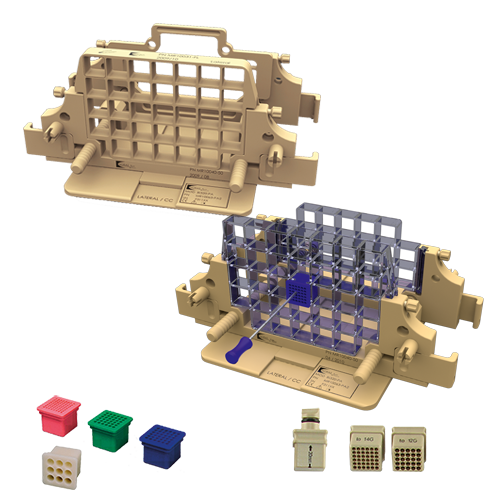 Height-adjustable horizontal slat plates as well as disposable or reusable grids can be used to fixate the breast. 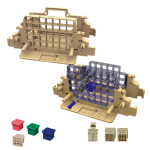 Throughout our modular system, you can assemble your biopsy units according to your desires. 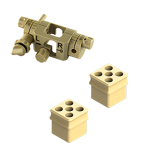 For our Biopsy Units we offer a large amount of adapters for the traditional vacuum guns. 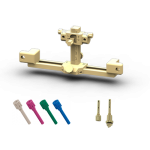 The various adapters are available for the Post & Pillar as well as for the Grid Biopsy System. Upon request, we can also manufacture suitable adapters for your system.